hotoGraphix SIG meets at 10 a.m. at Mac Business Solutions in Gaithersburg, MD. Harvey Levine is presenting about the value of cloud computing for storing and processing information "in the cloud". Harvey will give a more focused presentation on using "the cloud" to store photos and graphic files. See you at this terrific program! share things you are doing, your graphic hobbies, evaluation of equipment, etc. stuff you have tried that did or did not work. 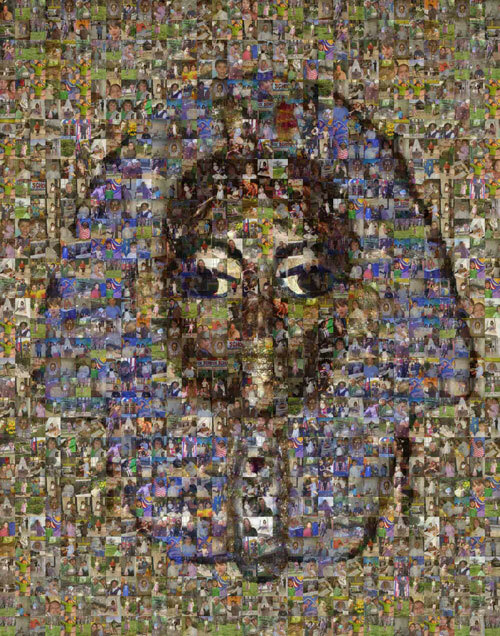 Mosaic created with MacOSaix, discussed at the April 2007 SIG meeting.